Kay Gregg – "I LIKE the future and I want to live there with my stuff!" Then I did Lynda for a while and that was nice too, but sometimes it was so dry that I’d swear I was paying attention, writing down notes and then realizing I had no idea conceptually what just happened. Did WW3, Codepen Tutorials and Random Whispery Youtubers, all without much effect. Then I found Coding Rainbow, I love this guy ( Daniel Shiffman) because his teaching style matches my frenetic, concept-hopping learning style and all of his whiteboard scribbles, cheap green screens, tangents, malfunctions, distracting asides, etc., add up to a way of learning that sticks in my brain. I pledge to Patreon him when I make it through a couple courses. I just wish the Intro to P5.js was in focus, it kind of offends my prissy video production assistant sensibilities. 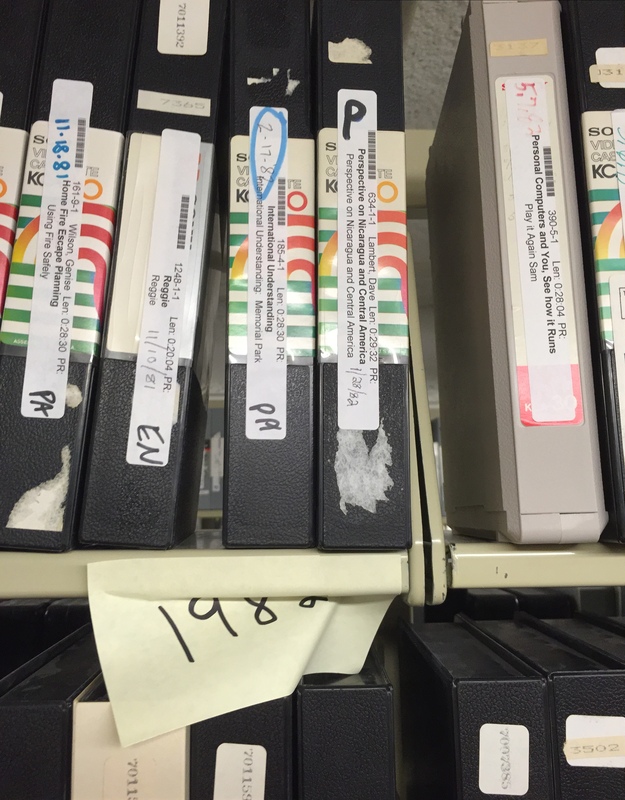 What a day, I finally got an intern to help me with the item level survey of the Tape Archive. This means it is real. We spent the morning reading tape numbers and dates into a database. I see some changes that will have to be made to the database because up til now, it is meant to be the unquestioned record, the reality is, it is a mess down there and I need some way of tracking items that have no record, have improper information or just plain don’t exist anymore. Right now all I have is a dumpy Access database that is old and wrong, but I can add some forms and queries so that I can find entries and alter them to reflect what really is in the vault. Finchy the Robot contemplates his sub routines. I recently presented a class on using Finch Robots, those slightly unnerving looking wunderkinds from the folks BirdBrain Technologies. 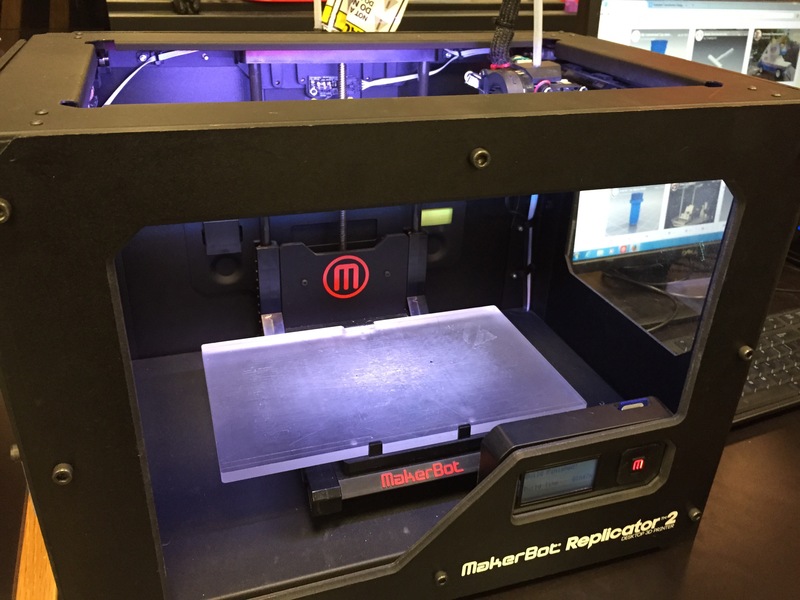 The robots are a fun way to learn how sensors and servos work in conjunction with Snap. Boy-o-boy do I love Snap. It’s an interface that scales up or down depending on the age of the user. I’m a crotchety Gen Xer and I love using level 4 just to play with stuff. 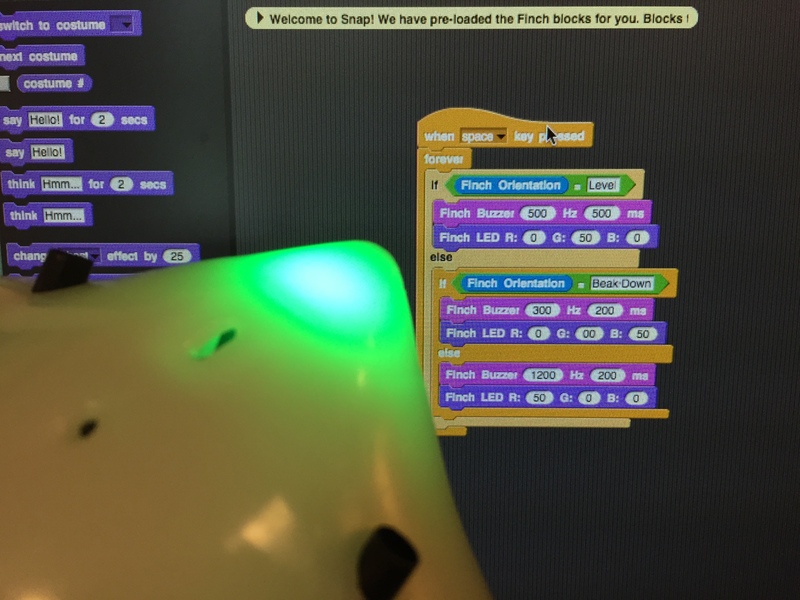 Anyway, my students were particularly interested in programing the robots to interact with each other using the sensing blocks. They also enjoyed programming the little guys to respond to keyboard input to make the robots “fight” each other. Recently I ran across an article about Blloon.com, an ebook subscription service that launched in the UK last October. What caught my attention was the attempt to apply social media practices to readership. Participants can” earn” more pages to read by engaging in the holy trinity of social media behaviors: the like, the share and the comment. This got me thinking about how libraries could use a similar game plan to increase social media engagement. What if people could “work off” fines by commenting on a Flickr picture, liking a YouTube video or Sharing a Facebook post? How would you reward “good” users? What about a free book, coffee or tote? How about money added to your print card? Would you run this as a shot term program, or make it part of standard operating procedure? Yes, it’s a bribe, but bribes work. Think about the promise of a snack if you are good and do your to-do list. There are other, more pressing issues with library social media strategies and implementation would be a challenge ( hello Drupal?) If I were the Queen of a small system that I had god-like authority over, I would at least try it. Here is a little PSA I put together to promote the channels to the community. I used Illustrator to make the icons, After Effects to animate, Garageband for the soundtrack and a borrowed ukelele for the sound track. I wanted to start from a positive place and get people’s attention with an upbeat message. I spilled one tiny drop of tea on my MacPro track pad and the next thing you know…Havoc! I was sitting at the kitchen table, enjoying some hot beverage when I accidentally jogged tea on my laptop. Without thinking, I dragged my sleeve around, trying to mop it up, but really just shoving the water into the cracks around my track pad. The mouse arrow starts jumping around, becoming completely unusable. I grabbed my phone and started searching for something to do about it. Rice! Get the following supplies together: handful of rice (I used sushi rice), blue painter’s tape, 5″ of saran wrap. 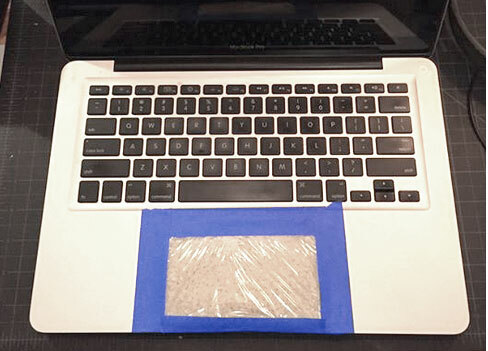 Cut the saran wrap to cover the trackpad and tape it to the laptop leaving the side toward you open. Tilt the laptop on its back and pour the rice into the “envelope” you made. Seal up the open side. Pat down the rice to distribute it evenly. Leave it alone for 24 hours. Tear off the tape close to you and dump the rice. Remove the rest of the tape. From what I can guess, the rice acts as a desiccant. The tape helps create a very dry environment by sealing out the moist air and allowing the moisture to be drawn into the rice.